Reporting requirements regarding the state’s child welfare and juvenile justice systems are strengthened under a bill passed March 29. Currently, all cases of death or serious injury of a child in a foster home, private agency, child care facility or other program licensed by the state Department of Health and Human Services must be reported to, and investigated by, the office of the inspector general of Nebraska child welfare. 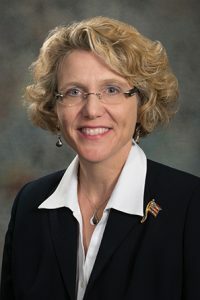 LB1078, introduced by Bellevue Sen. Sue Crawford, adds to that requirement all allegations of sexual abuse of a state ward or a juvenile on probation, in a detention facility or residential child-caring agency. The bill also requires that the annual report of the DHHS Division of Children and Family Services include the number of sexual abuse allegations that occurred among children being served by the division and those placed at a residential child-caring agency. Also required is the number of corresponding screening decision occurrences by category, open investigations by category and agency substantiations, court substantiations and court-pending status cases. Included in the bill are provisions of Crawford’s LB1073, which require DHHS to include in their existing weekly report to the Foster Care Review Office whether relative and kinship placements are licensed or received a waiver. Also included are provisions of LB411, sponsored by Lincoln Sen. Kate Bolz, that bolster reporting requirement to ensure that reasonable efforts are made to place children in state care with their siblings. Under the bill, DHHS is required to file a written sibling placement report with the court within 30 days of a juvenile being placed in state care and at specified intervals while he or she remains in state care. The bill also clarifies that a sibling can be in the group of parties to a case who may file a motion for joint-sibling placement, visitation or ongoing interaction between the siblings. • the department’s continuing reasonable efforts to facilitate sibling visitation. DHHS must file a notice of placement with all of a child’s known siblings. A parent or sibling may choose to opt out of receiving such notifications. The department also is required to make reasonable efforts to place siblings together, even if there is no preexisting relationship between them. It is left to the court to determine what constitutes such reasonable efforts. The bill passed on a vote of 49-0.